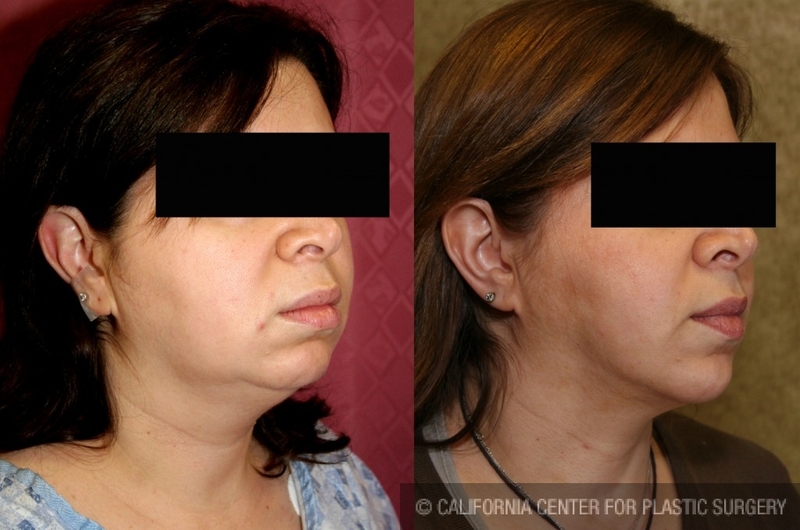 This is a 42 years old Armenian American woman from Glendale who wanted to look younger with neck and jowl liposuction. Her neck liposuction before and after pictures which were taken 3 months after her liposuction are shown here. Her neck liposuction pictures demonstrate how much slimmer and younger her whole face looks after liposuction of her neck and jowl. 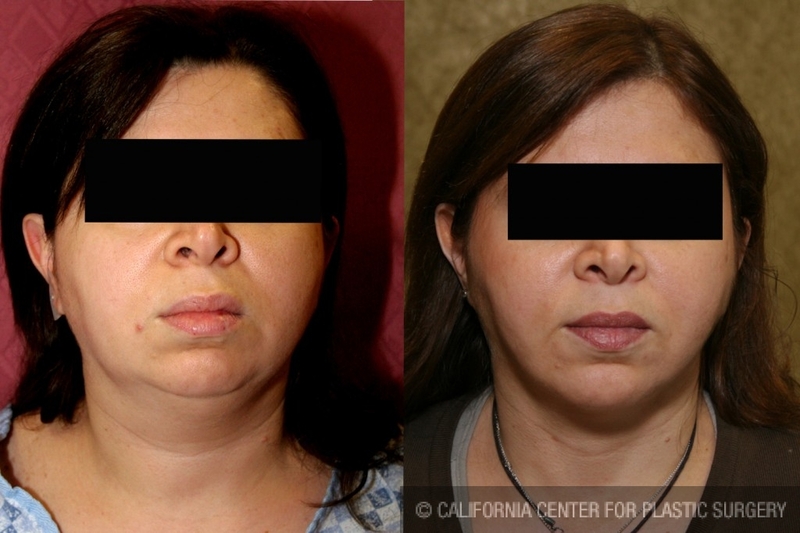 Even though she is not very young and had some sagging of skin, her neck and lower face skin shrank considerably to give her a more refined jaw definition. Besides having liposuction of neck and face, she also had a tummy tuck and liposuction of her waistline. She went home the same day after her cosmetic surgeries. She was able to take a shower and get her neck, face, and abdomen wet starting the third day. 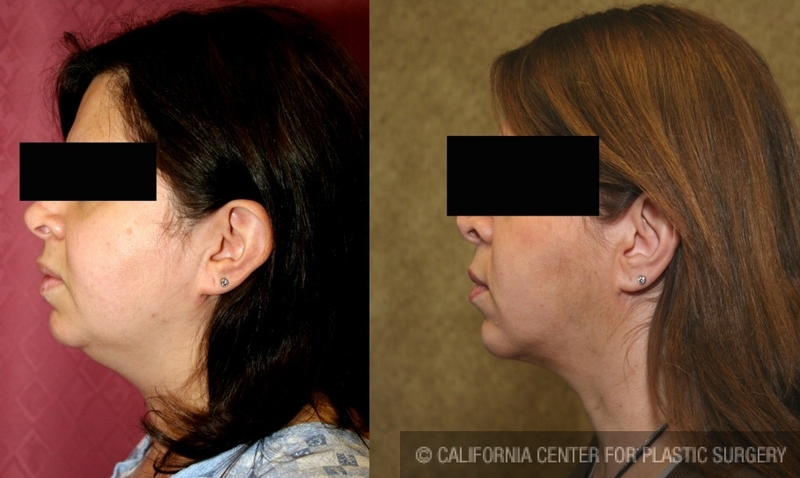 Then she started massaging her neck as she was shown by Dr. Younai and the patient coordinators at the California Center for Plastic Surgery. Patient returned to work in about two weeks. She continued her neck massage at home for about six weeks until her neck skin completed its shrinkage and became tighter.